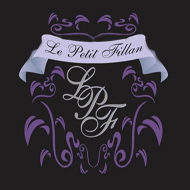 Each of the six suites at Le Petit Fillan have been individually decorated and imbued with a unique and understated elegance, together with lush contemporary style and comfort. Attention to detail is the order of the day with each room equipped with a beautiful en-suite bathroom, a HD flat screen television, a premium DSTV Bouquet, wireless internet connectivity, and complimentary tea and coffee facilities. Most rooms have access to a private garden, while the other rooms overlook the lush, groomed gardens and swimming pool area. All rooms are non-smoking, smoking is allowed on patios. Regret no pets and no children under 12 yrs old. A premium DSTV Bouquet in each room. To take advantage of this offer, please email us or contact Reservations for bookings on 011 784 1131.